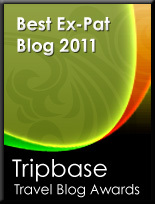 A very warm welcome to the ExpatCapeTown Newsletter in July 2010. Winter in Cape Town. This CapeTown winter meant the world came to the Mother City. And what a great experience this was! More cosmopolitan than ever, Cape Town has shown the world that everything is possible and that here the many different people from various cultures do live togehter happily. Now that the worldcup is over and winter is in full swing, many of us still wonder if the winter is always as nice as we have it this year. Sunny and mild with mostly blue sky? This year we were really lucky with only a few really cold days below 10 degrees Celsius. Only the cold wind keeps reminding us that winter is here. But I am sure some more colder days are in store for us before Spring will arrive here in September. Then there was Nelson Mandela's birthday this month which was celebrated with an "Ubuntu Festival" and this was really special too. We all felt to belong here from which ever background and nationality we came from. There was a wonderful atmosphere in Town with many street concerts and people of all walks of live celebrating peace and togetherness. Wonderful! Thank you Nelson Mandela! As this Newsletter comes very late this month, sorry for the long wait. Therefore you will receive only a slimmed down version this month, the next newsletter shall be out by mid of August. • Take some warm sweaters and wooly socks for those colder winter evenings. There is rarely central heating in the Cape Town houses, so you will feel cold at night and be happy you have some warm comfy clothes with you to ward off the chilly air. A windproof jacket with hood or beanie will come handy too for the lovely strolls along the beautiful Cape Town beaches. • Many hotels and restaurants offer winter specials. Be sure to check out what specials are on offer. Often you can get a really decent winter menu and some of your partners meal is either half price or free. Or there are extra free perks like cooking demos like at the Farmhouse Restaurant in Noordhoek which I can warmly recommend. • What about activities? Winter in South Africa is not what most of you will expect from winter weather overseas. The weather is quite mild with temperatures reaching low to mid twenties (Celsius) many days. So make the most of sunny days with long walks outdoors, on the beaches, in the winelands, up Table Mountain. • How about visiting one of the many Winter festivals in Cape Town and Surrounds. These festivals offer some of the best food and wine you can source in the South Africa and they are a great opportunity to meet like-minded people. There are so many art and crafts festivals, museums and local markets to visit, that you will feel warm whatever the temperatures are outside. And not to forget the whales have arrived again at the False Bay Coast: What a great sight! Have fun in Cape Town in Winter! Nelson Mandela Day was my favorite event besides the World Cup for this month. Cape Town celebrated Nelson Mandela's birthday with an "Ubuntu Festival" this month. This day marked also the first annual Nelson Mandela International Day when people were asked to donate 67 minutes of their time to help the less fortunate and under-priviliged and to build a stronger community. Mandela is known worldwide for his anti-apartheid struggle and his efforts of helping the poor and trying to unite the multi-racial population of South Africa after apartheid. The former president of South Africa (1994-1999) and anti-apartheid activist who spend 27 years in South African prisons, was awarded the Nobel Peace Prize in 1993. Nelson Rolihlahla Mandela who is lovingly called Madiba by the South Africans was turning ninety two on July 18, 2010. His name Madiba comes from an honorary title for elders with the Thembu people, the clan he belongs to. Rolihlahla which was his given name means troublemaker. His name Nelson was only given to him in colonial tradition when he went to school in Qunu. Today, Mandela himself asks the rich in South Africa to do more for the poor to advance and wants them to share their wealth with the disadvantaged population. As Mandela is an inspiration for so many people, well wishers celebrated his birthday in the whole country with parties and concerts to highlight his humanitarian involvement and thank him for his care for his people. What is on in Cape Town in July and August 2010? More great events and shows in July 2010. 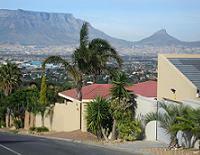 In this section you will find every month insiders’ tips and advice about one of the many suburbs of Cape Town. So you know where to stay and where to go. This month I choose to bring you some more info about living in Kalk Bay where quite a few expats choose to live. Why Kalk Bay? Located in False Bay right at the Indian Ocean life in Kalk Bay is very relaxed and less busy than in the neighboring suburbs like Fish Hoek or Muizenberg. Many restaurants, delis, art galleries, boutiques and antique stores line the busy Boyes Drive which was recently widened and resurfaced. This suburb is very popular with families with older children or retired persons who want to lead a quiet lifestyle and do not mind the longer commute to the City Centre. In whale season you might be able to watch the mammals from your living room window. Where to stay? There are beautiful older townhouses and cottages and some renovated modern mansions along the seafront and up the hills. Where to go? There are entertainment and shopping facilities in Fish Hoek, Muizenberg or a bit further in Simonstown. If you like the beach, there are small sandy beaches with pools in the vicinity. Lovely with the colorful beachhuts. What means "ubuntu"? This is a special African concept and describes that a person is a person only through other persons. or as Archbishop Desmond Tutu described it: "I am a human because I belong. I participate. I share." What is potjiekos? This is a popular South African winter dish. Usually the meat and vegetable stew is slowly cooked in a three-legged cast-iron pot on a fire and shared with friends and family. Where to find good organic food and great homemade gifts? The Elkanah House Market in Blouberg is on this weekend, 31 July 2010. Have a splendid day out and stock up on delicious homemade organic food and delicatessen, like spanish ham, smoked snoek or fresh pretzels. Why not visit the Aquarium in Cape Town? The Two Oceans Aquarium offers free entry to the kids with two paying adults. You will love to see the cute penguins and kids will love the interactive displays.